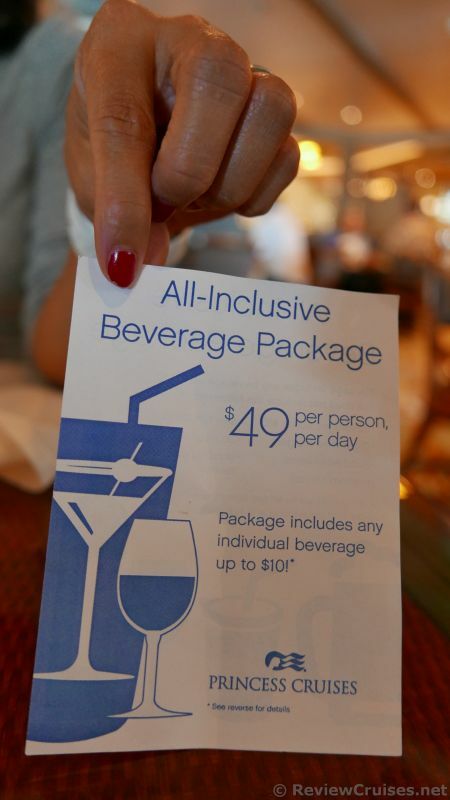 Will you order the Princess Cruises All-Inclusive Beverage Package? Also note that Princess will automatically tack on a 15% gratuity to each order. 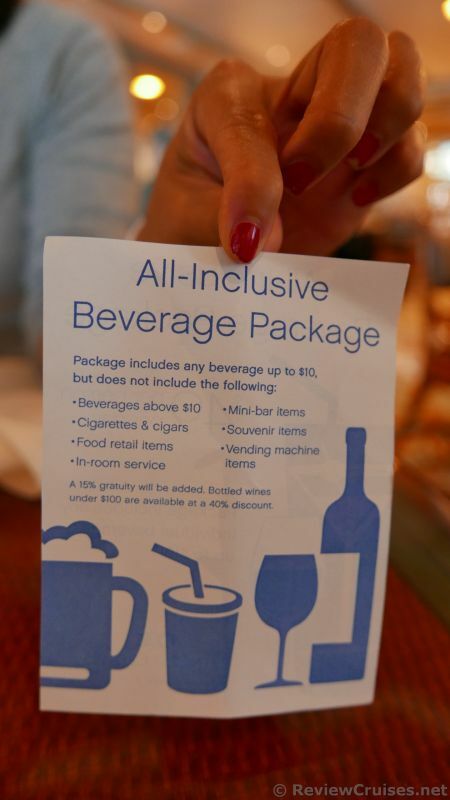 With this drink package, one additional benefit is that bottle wines under $100 will get a discount of 40% off. We don't drink much so we didn't go for the offer, but can see this becoming a cheaper solution for cruisers who drink 6 or more beverages daily on a consistent basis, which can include premium coffee of course. This perk will likely be more beneficial for cruises with more sea days. Premium Coffee Card ($31 each): Treat yourself to flavor with perks Save 20% or more on specialty coffees when you purchase the Premium coffee card. Good for 15 specialty coffees. Genuine Draft, Miller Light or any of their signature Seawitch craft beers. 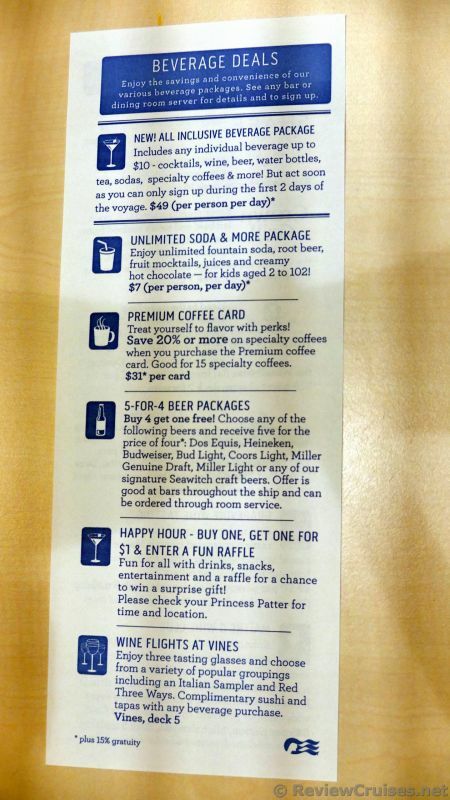 Offer is good at bars throughout the ship and can be ordered through room service. Happy Hour B4G1 for $1 + Raffle: Fun for all with drinks. snacks, entertainment and a raffle for a chance to win a surprise gift. Check the Princess Patter (daily schedule) for time and location. tapas with any beverage order. Please note that for most of these individual packages, 15% gratuity will be added on to the price.